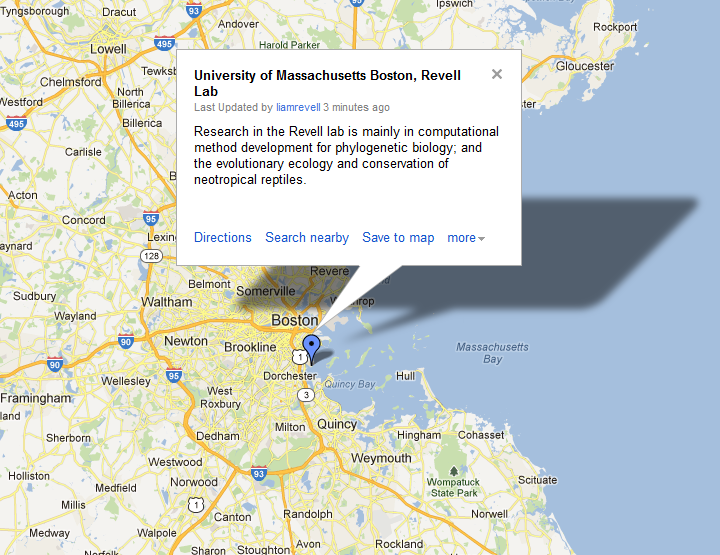 Evidently, we are the first lab added from the greater Boston area. (Many more have already been posted from around the country and world.) Click on the image to go to ProjectEvoMap (centered on us, naturally). Ed. note (Oct. 20, 2012): ProjectEvoMap has moved to http://projectevomap.yolasite.com. Check it out.